We delve into the shortlist for the Amazon Growing Business Awards' Young Entrepreneur of the Year 2018. Millennials are taking the corporate world by storm, becoming serial entrepreneurs and bringing fresh ideas to more traditional sectors – a concept we strive to praise at the 2018 Amazon Growing Business Awards. The Young Entrepreneur of the Year category will congregate the UK’s finest young entrepreneurs in one room. Some of their businesses have already achieved success; others are still growing. One thing is certain – all of the candidates have a promising future. Growth story: Within two years of leaving school, qualified tree surgeon Declan Colleran secured a £250,000 contract to maintain the entire Pennine region between West Yorkshire and Greater Manchester. Now aged just 21, his DC Ground and Tree Care company achieved a £442,000 turnover in 2017/18, which is projected to increase to £600,000 in 2018/19. Growth story: Achieved 525% revenue growth in its first two years, with turnover predicted to reach £5,250,000 this year. Growth story: Founded by Agarwal and his business partner in late-2013, Hubble was a pioneer of the “proptech” industry, enabling SMEs of up 250 people to rent shared offices, fixed desks and private offices quickly and easily, and providing landlords with a platform to let their properties. Agarwal and CTO Tom Watson have raised £2.5m in venture capital from investors in both the technology and real estate world. 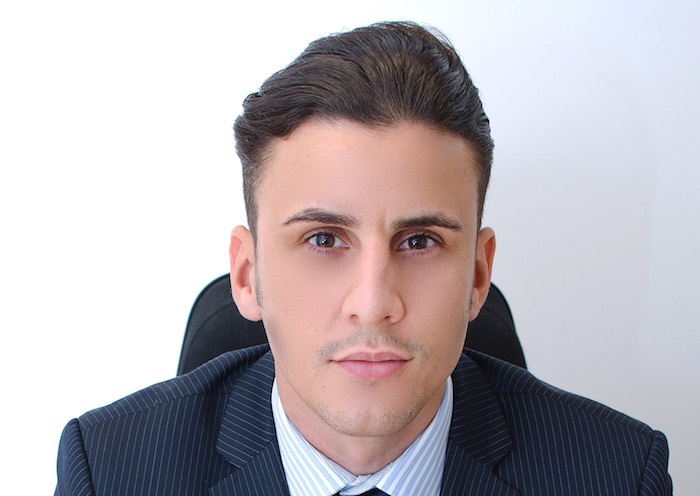 Growth story: Valente launched ImpraGas in 2012 as a plumbing business, and has been growing the business into a multi-million-pound company in the past six years, currently employing 28 members of staff. ImpraGas now covers the South East and the Midlands, and Valente plans to service the whole of the UK including London by 2022. 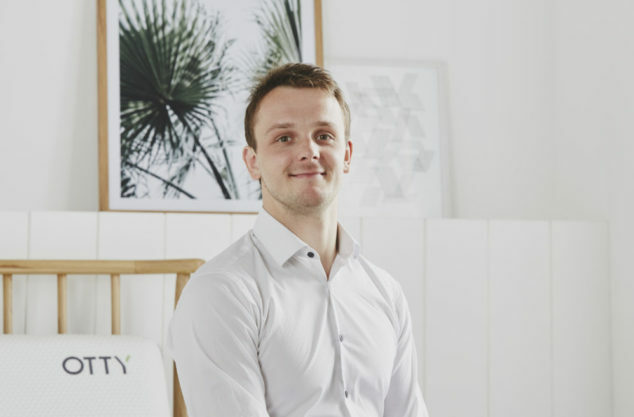 Growth story: Michal Szlas is chief executive officer and founder of mattress retailer OTTY. The 26-year old entrepreneur founded the company in 2016 with a mission to become the world’s leading sleep brand. OTTY registered 400% revenue growth in its second year of trading, turning over £8.5m. Growth story: Since launching in 2013, Tokyoesque has been enabling European businesses to enter the Japanese market, and vice versa. Founder Natalie Myer’s ambition is to build Tokyoesque the “go-to resource to enable the good in globalisation”. The company has generated revenue growth of 126% in the past three years. For both of us, it’s been about the speed in which we’ve learnt, from middle management at a newspaper and startup to building growth teams and running A/B testing. This coupled with a genuine desire to learn more from anyone – we know we have a huge way to go and want to always make sure to take the advice of those better informed than us on board. Hindle: Growing individuals and giving them the platform to develop the skills that they want is what I strive for. More importantly, I make it known to my team that they will always have a friend and a supporter in me, so they are comfortable in confiding with me on personal and professional matters. Shekerdemian: At 22 years old I completed Y Combinator, the world’s leading startup incubator. I also set up two businesses while studying at university, where I studied Chinese to utilise Mandarin to start the first one. I accepted the Thiel Fellowship instead of completing the degree, which gives grants to young people. Its selection rate is below one per cent. I’m an active mentor for younger generations looking to develop a career in the retail industry and have introduced a mentoring scheme with Wellington College, my previous school, providing students with advice and answering questions on entrepreneurship and the industry. I speak at events and talks organised by the school and am also a member of female networking group The Queen Bees, hosting networking events with other females in the sector. It may not be unique, but I’m persistent. Let me give you an example: Whilst at college I wasn’t planning on going to university. On the day of clearing I changed my mind, but the only place with vacancies for business was Bournemouth University. I phoned them, but was turned down. So I phoned again, to which they said my grades weren’t good enough. I genuinely phoned six times, and on the sixth, they let me in. In the end I convinced the university by going over all of my previous entrepreneurial endeavours. I’ve known Brannan for six years. He’s got the best “can do” attitude I’ve ever seen: nothing is an obstacle, everything is a challenge to be won. I think this is partly because he could never rely on the bank of mum and dad, and had to work very hard for everything he has, ever since he was a teenager. No Agent is truly his baby, he puts a lot of passion in every single bit of this business. When he’s in the office, we’re all at least 30 per cent more enthusiastic than usual (and we’re a very enthusiastic bunch). I believe that I am a born entrepreneur. I have an inherent drive to make something of myself, by myself, and from a young age I was determined to build my own business. I’ve never been put down by people telling me I can’t do something. If anything, that makes me more tenacious. Any setbacks I’ve experienced have motivated me to be a better businessman and take a chance when it comes to pushing the boundaries – that’s why I am where I am now.